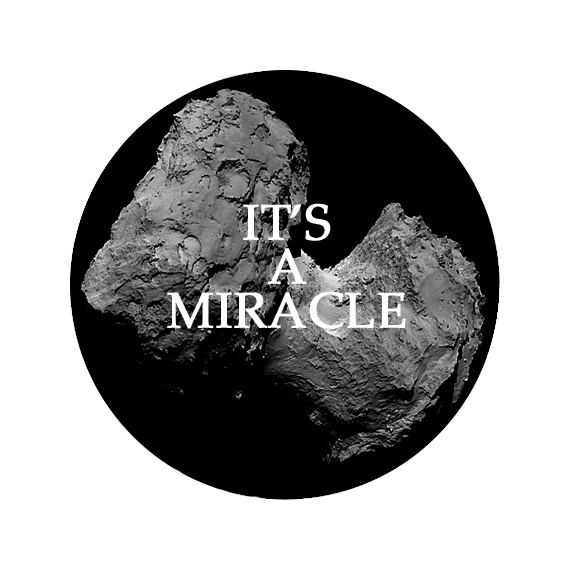 Yesterday the Philae lander touched down on the surface of comet 67P/Churyumov–Gerasimenko, hurtling through space at imponderable speed more than 500,000,000 km from earth and after a journey which has lasted more than 10 years – nothing short of a scientific and technological miracle. Modern life is full of miracles – and monsters. Sometimes it’s hard to recognise the miraculous from the monstrous and often opinions are divided, especially in situations where science and technology offer radical change or deviation from what we know as the norm. Of course it’s easier for us to accept radical change when the benefits are miraculous, obvious and direct, but often scientific development is met with hostility and fear of the monstrous, with the benefits and drawbacks not fully understood by a suspicious public. 1. ‌ an extraordinary occurrence that surpasses all known human powers or natural forces and is ascribed to a divine or supernatural cause, esp. to God. ‌2. ‌ a superb or surpassing example of something; wonder; marvel. Like immortality, miracles are usually associated with religion and the gods; now though, it seems that scientists working across all areas of science, medicine and technology are our modern day miracle-workers. Here’s a chance to wonder and marvel at some 1980s pop frivolity.